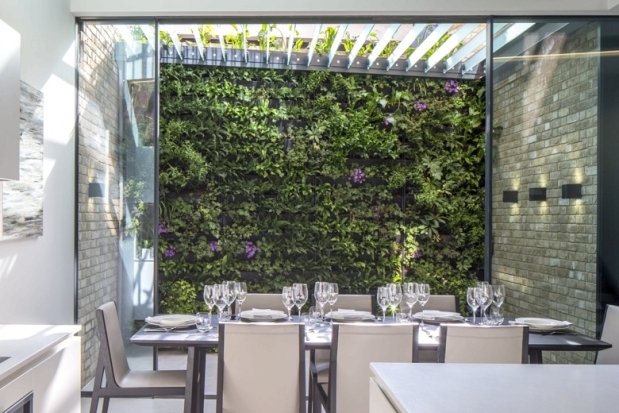 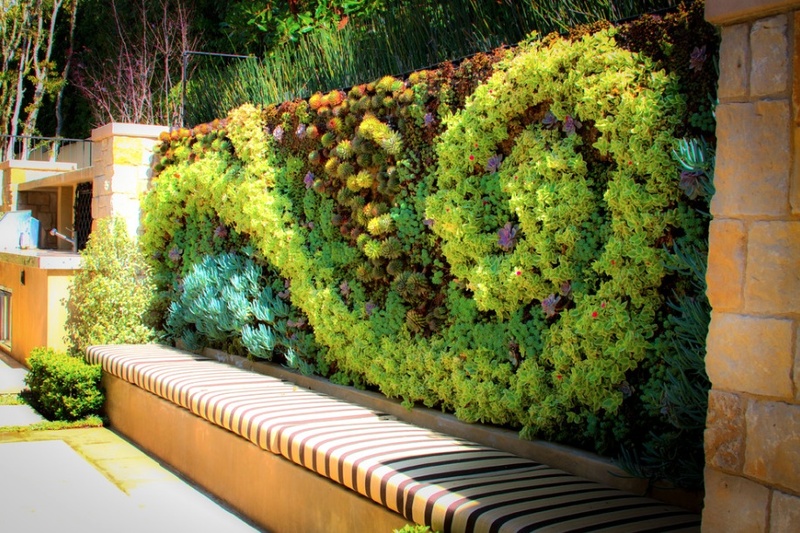 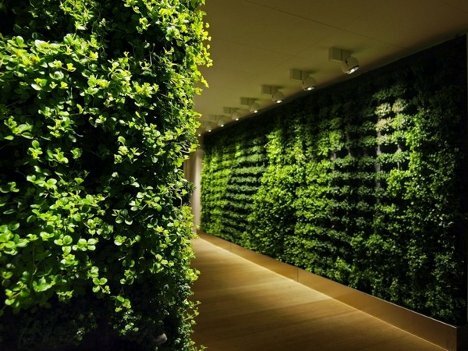 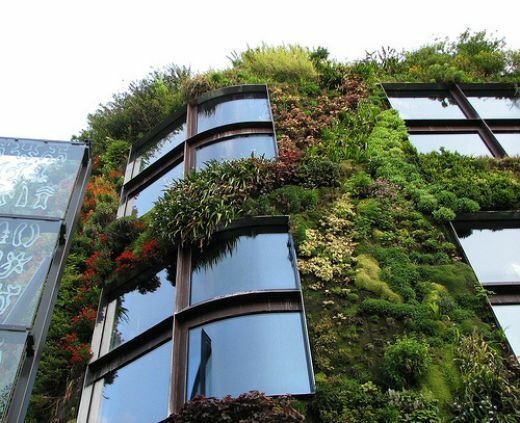 Green walls have become popular in the last decade. 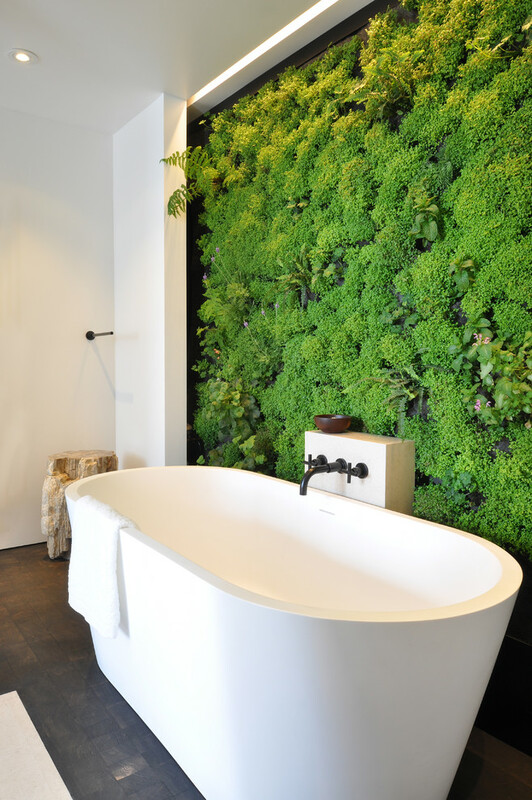 The first image of the green wall behind the bathtub inspired me to write this post. 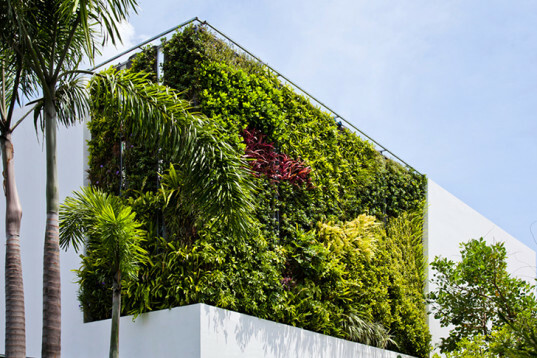 I was intrigued to look and see how others have incorporated the use of green walls in their homes, yards and exterior facades. 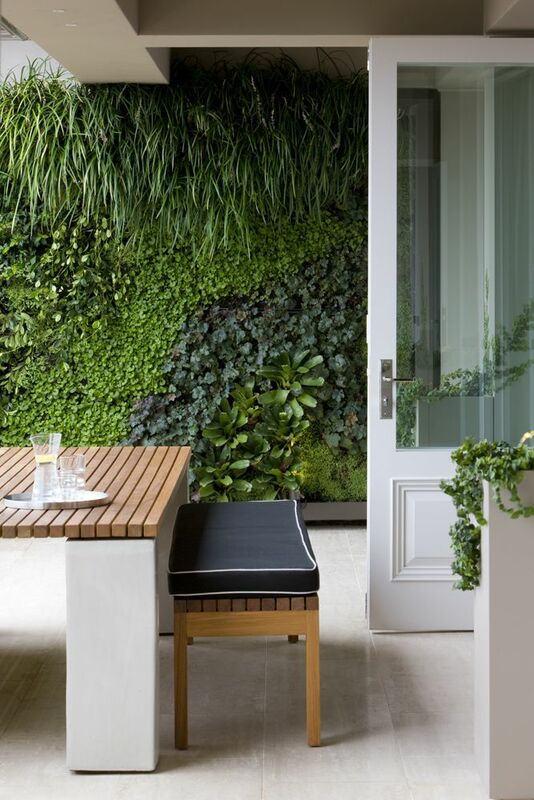 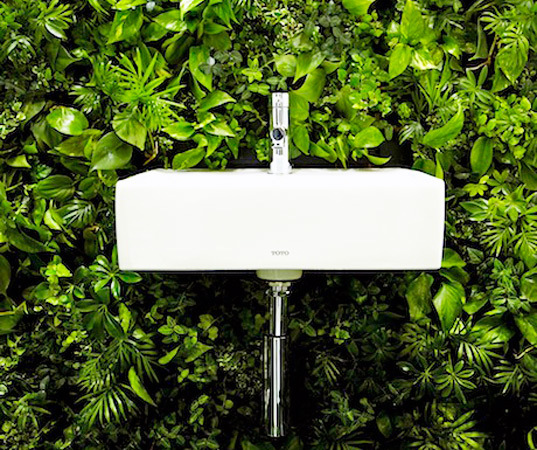 Though I am not opposed to the idea of having one in my home or courtyard, it seems rather daunting because I am uneducated on what the upkeep entails. 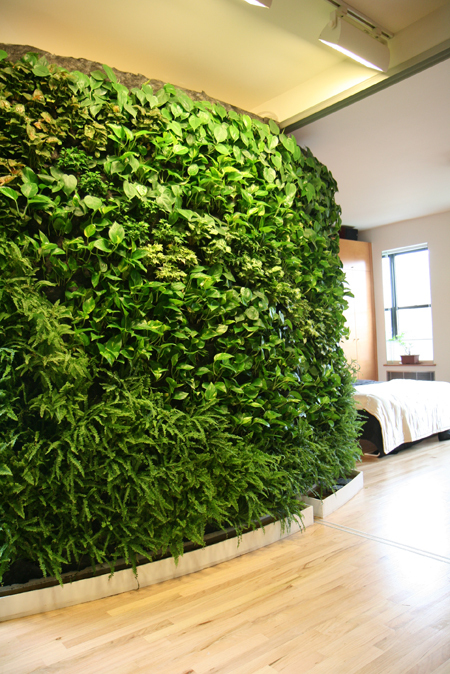 Would you have a green wall in your home?